Rent Flatiron Penthouse | Corporate Events | Wedding Locations, Event Spaces and Party Venues. 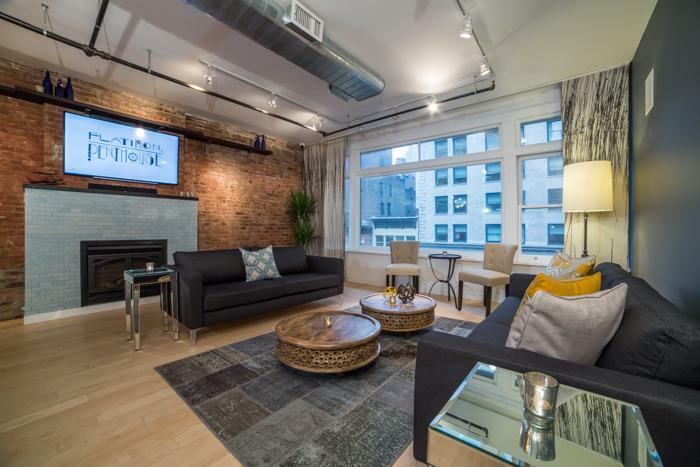 Flatiron Penthouse is a 2-floor private loft with an outdoor balcony, terrace & roof top! The fully furnished facility features state-of-the-art audio-visual equipment, comfortable lounge seating, built-in bar, conference table, full kitchen and passenger elevator. Flatiron Penthouse is located steps away from Madison Square Park, the Flatiron Building, Public Transportation and Food Destinations (Eataly & ShakeShack). We have three separate meeting spaces available in the facility. Please inquire for Production & Meeting Rates. Please inquire for 1/2 Day Bookings.